As I sit here scratching my chin over this article, I suppose the most important question to answer is: would you sail with Silversea Cruises again? To that, I can respond with a very enthusiastic and unequivocal: YES! Well, let me tell you about our experience sailing with Silversea Cruises, aboard the Silver Shadow, as we recently sailed with them down Alaska’s beautiful Inside Passage. I’ll share with you exciting destination articles in other posts, for now, let’s just keep our conversation to our experience aboard the Silversea Cruises Silver Shadow. 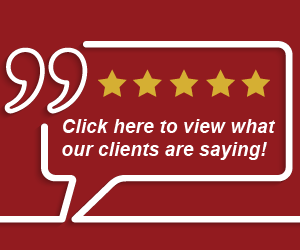 First Impressions: as business owners for many years, we learned a long, long time ago that first impressions are very important, and very hard to break. Our first impression came from Silversea Cruises in a stylish silver box they mailed to us with our personalized travel journal (pictured right). Travel researchers tell us that the highest excitement levels occur in the anticipation phase (seems weird, right?) just before embarking on a trip. We were definitely excited to receive our travel journal which inside one convenient package we found our cruise ticket, itinerary, important information, shore excursion information, and everything we needed to know. Good job Silversea Cruises, keeping track of one book was easy, and it sure beats the reams of paper we’ve received from other cruise lines in the past. Second Impressions: we rode a fabulous scenic train from Anchorage to Seward. As we left the train, and boarded the Silver Shadow, the red carpet was rolled out with glasses of champagne and scores of brightly smiling faces welcoming us aboard. All faces were beaming with smiles, and we felt genuinely welcomed. Mandatory Safety Drill: with all of the fears stemming from the shipwrecked Costa Concordia a few years back, cruise lines have made important safety changes, and one of them is a mandatory safety drill. Before we left the port, absolutely every passenger was required to attend a mandatory safety drill. This assured that we knew where our life jackets were stored (in our room, by the way) and where we were to meet in the event of an emergency. Here’s a selfie of Carol and I in our life jackets. Spacious Entry-level Suites: some cruise lines try to pack passengers in cabins that are often smaller than 150 sq. ft. with some of them being “inside” cabins offering absolutely no view. All passengers on Silversea Cruises enjoy a suite, all suites enjoy a nice ocean view, and the smallest of the suites is 287 sq. ft. We enjoyed a Veranda Suite and have LOTS of pictures of our suite to share with you. To see the photos and read the article about our Veranda Suite aboard the Silver Shadow, CLICK HERE. Small, luxurious intimate ships – it seems that every year, some cruise line builds another ship that claims to be the world’s largest cruise ship. And while some of the features on these floating cities sound appealing, hanging out with 5,000 on a ship is about the last thing I want to do. The Silver Shadow hosts a maximum of 382 guests, and we never found ourselves standing in a massive chow line hoping against all hope that there might be a table for us to enjoy our dinner. Plus, the smaller ships allows us to get into docks that the larger ships simply can’t use. That means a lot less time spent on a ship’s tender. In all cases except one, we walked right off the ship to our destination. Nice! Fabulous Dining Options – dining aboard the Silver Shadow was a very nice experience, as opposed to the feed troughs we’ve experienced on the big ships. Gone were the large lines of hungry people, and instead we found dining establishments that were well staffed, with plenty of seating, and reservations available to us in all restaurants. The Restaurant is the Silver Shadow’s main dining establishment. For some reason, I expected mediocre food at this fairly large restaurant, but I was very pleasantly surprised. The service was awesome, and the food was actually very good. Very impressed, I was. Also onboard the Silver Shadow is La Terrazza, the ship’s Italian restaurant. We enjoyed breakfast and dinner here most nights. Again, the staff was excellent, and the cuisine was divine. For a $40/person supplement, one night we enjoyed dinner in Le Champagne, the only Relais & Châteaux restaurant at sea. In this small restaurant, we greatly enjoyed a six-course French menu, with service that you would expect from one of the world’s best restaurants. YUM! Another dining experience that was great fun was the Pool Bar & Grill. Each night the pool area is transformed into a fine dining establishment, and guests are served delicacies like steak, veal, pork, lamb, salmon, fish or prawns all cooked in front of you on a preheated volcanic rock. Again, big fun, and yummy! And of course, for those of you who prefer private dining, your butler will serve you a fabulous meal right on your veranda. Silversea Cruises offered us the best dining experiences we’ve yet to experience on a cruise ship. Traditional and Explorer Ships – at the time of this writing, Silversea Cruises has 8 ships in its fleet. Five small luxury liners that carry no more than 540 guests, and three expedition ships that will take luxury cruisers to places like the Arctic Circle, the Galapagos Islands, or hanging out with penguins in Antarctica. I can definitely see a luxury expedition in my future with Silversea Cruises. Seven Continents – a cruise ship is a fabulous way to get your first taste of a particular region in the world. With Silversea Cruise’s eight ships, they can get you to seven continents, and give you nearly infinite possibilities to explore the world. I must confess, now that I’ve found a cruise line that we both love, we’re asking ourselves where we might go. I absolutely hate flying, and the ships of Silversea can get me nearly anywhere I can dream of visiting. If you’re so inclined, they also offer annual world cruises that are 115 days, visit 50 ports, and 30 countries. Sound fun? Camaraderie – because our ship accommodated a maximum of 382 passengers, this gave us plenty of opportunity to make new friends from all over the world. It’s absolutely fascinating to learn about different countries and cultures while breaking bread with people from all over the world. We LOVE that! All-Inclusive Cruises – it was VERY nice not having to be signing checks all over the ship, and making this huge reconciliation at the end of the cruise. Our fare included onboard gratuities, complimentary beverages served throughout the ship – including fine wines, champagnes, spirits, beer, bottled water, specialty coffees and soft drinks, an in-room bar stocked with our desired beverages. Plus, we enjoyed a private butler, open seating in The Restaurant (no assigned time, no assigned table), live shows every night, informative lectures during the day, and with nearly one crew member for every passenger, we received absolutely superlative service. 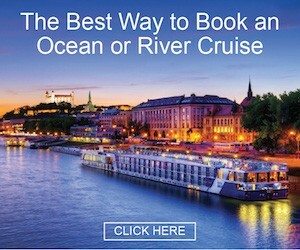 You know, we loved Silversea Cruises so much, it would be tempting to never again sample another cruise line. It was that good! However, as part of our job is to explore the world on your behalf, please rest assured that we’ll sample some of the other available luxury cruise lines. Having said that, however, we give Silversea Cruises our absolute highest rating, and have every confidence to recommend them to even the most discriminant of luxury travelers. Congratulations Silversea Cruises, a job well done, and an experience we’ll long remember! If you’ve been a reader of our website for any length of time, you know that we recently opened our own travel agency, and now have wonderful complimentary perks to bring your way. In fact, through our association with Virtuoso®, the world’s leading international luxury travel agency network, we can offer you complimentary VIP amenities that you simply won’t find on your own. Read about our luxury cruise amenities by clicking here. So here’s the $64,000 question: if you aren’t paying anything more to receive our complimentary VIP benefits, and you still receive all the benefits offered from the cruise line, why on earth would you book your cruise on your own? To book your Silversea cruise, and receive our complimentary Virtuoso® amenities, give us a call at (480) 550-1235, or use our convenient online information request by clicking the red button below.